At Perfect Circuit, we believe in providing superior customer service. The best way to provide customer service is to provide our clients with specials and coupons on top of our already straightforward pricing system. Our customers can check back here regularly for new saving opportunities. 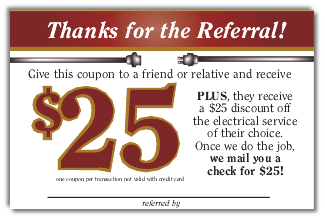 Currently we are offering $25 dollars off any electrical service when you refer a friend or a relative to us. Please print the coupon off below and present it to a friend or family member so you can both receive a discount on our services! Another way customers of Perfect Circuit can save on our electrical services is by completing our online customer service satisfaction survey. When you feel out our feedback page, you are allowing us to grow as a company. 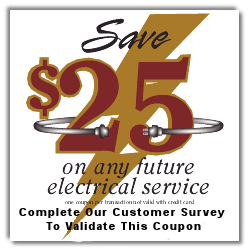 To show our appreciation, we provide our customers with $25 dollars off any future electrical service, and you will be entered in our monthly drawing for a free gift certificate that can be used on any of our services! Click Here to Fill Out Our Survey. 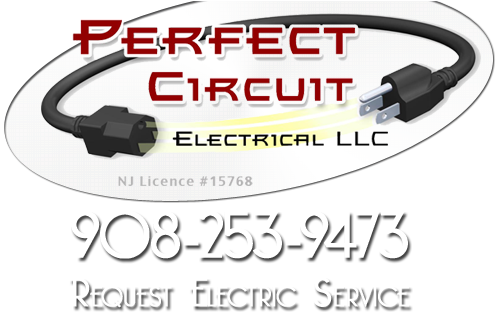 If you are looking for Somerset County Electrician Specials & Discounts, please call Perfect Circuit at 908-253-9473 or fill out our online request form.